Featuring 5 vacuum chambers, experienced in space environment tests. Four Japanese and six US universities took part in the USSS2005, conducted by Kagawa Univ. 174 students from 23 universities and technical colleges took part in the 4th workshop on Feb 10-11. 19 members presented their projects. XI-V, the second CubeSat by Nakasuka Lab, the University of Tokyo, was successfully launched from Plesetsk Space Center in Russia. Nakasuka Lab web site has more. CanSat Comebackcompetition was held on 22 Oct in Fukuoka. In this student program in IAC, international teams participated in the unfavorable weather. Kyushu Univ and Kagawa Univ shared the cup. UNISEC workshop will be held in Tokai Univ, on Dec 10-11. 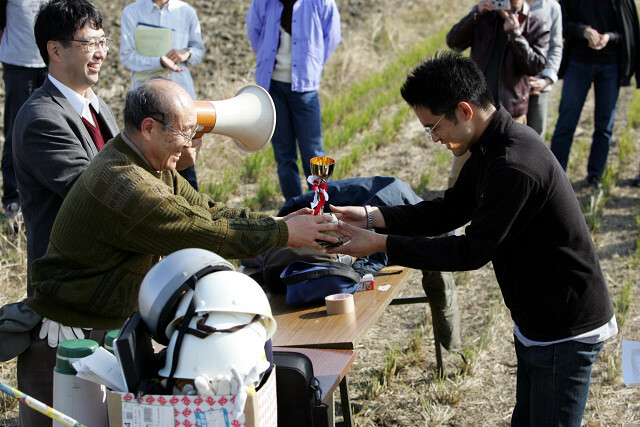 In the heavy rainfall and winds, Tohoku Univ Rover Team won the ARLISS 2005 comeback competition. Experienced in 3D CG and animation, will contribute to Space development PR activities. The largest number of 13 teams will compete in the ARLISS 2005 competition on 21-23 in Nevada, USA. This event includes demonstration of model rocket launch as well. UNISEC will design target satellite 1-b for NICT's orbital service satellite SmartSat. The UNISEC member laboratories will work on the design by next February. Tokyo Univ won the Noshiro cansat competition. Nihon Univ 2nd, Titech 3rd. The hybrid rocket launches by Tokai Univ on 10 and 11 Aug were both successful. Kawanami Group, Thermal Engineering, Hyogo Pref. Univ. Over 140 member attended the general meeting in Tokyo Univ., on 23 July. 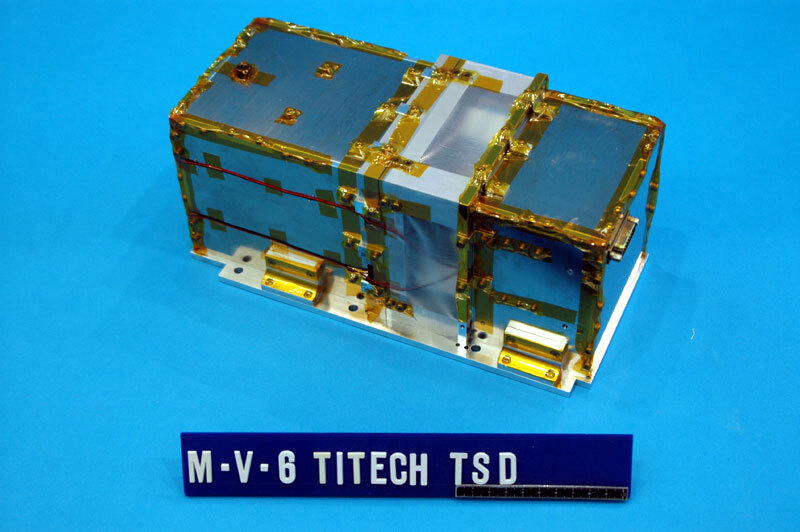 On 10 July, the separation device made by Matsunaga Lab, Tokyo Inst, of Tech, was launched on M-V 6 from Uchinoura. The experiment was successful. Measurement and Information Lab, Yamaguchi Univ. Two years have passed since the successful launch and operation of Cube Sats! Iwasaki Lab, Aero/Astro, Tokyo Univ. General Assembly will be held on 23 July in Tokyo Univ. 05.06.08-UNISEC news letter #5 printed! 05.06.08-Space Events in Noshiro, Akita Pref. Noshiro Space Event is coming on 10 August in Noshiro, Akita, Japan. became UNISEC member, the 4th participant from Kyushu. Akita Univ CanSat Team became a UNISEC member. CanSat technology database is updated. Investigate the needs for cube sats! Hokkaido Univ team and Tokai Univ team demonstrated the successful hybrid rocket launches on 12-13 March. The communication test of CanSat designed by Hokkaido Inst. of Tech. was also successful. On 12-13 March in Taikicho, Hokkaido. The participants are Hokkaido Univ, Tokai Univ, and Hokkaido Inst. of Tech teams. UNISON alma mater program will take place in Okayama High School. Mr. Funaki (Tokyo Inst. of Tech), who was the Fukuoka comeback cometition winner, will present his projects. On 13 Dec, in the mild condition, the competition was held. Tokyo Institute of Technology team won the competition.